Relevance Cdc6 is essential for assembling the pre-replicative complex that forms at origins of DNA replication in the G1 phase of the cell cycle in budding yeast (S. cerevisiae). 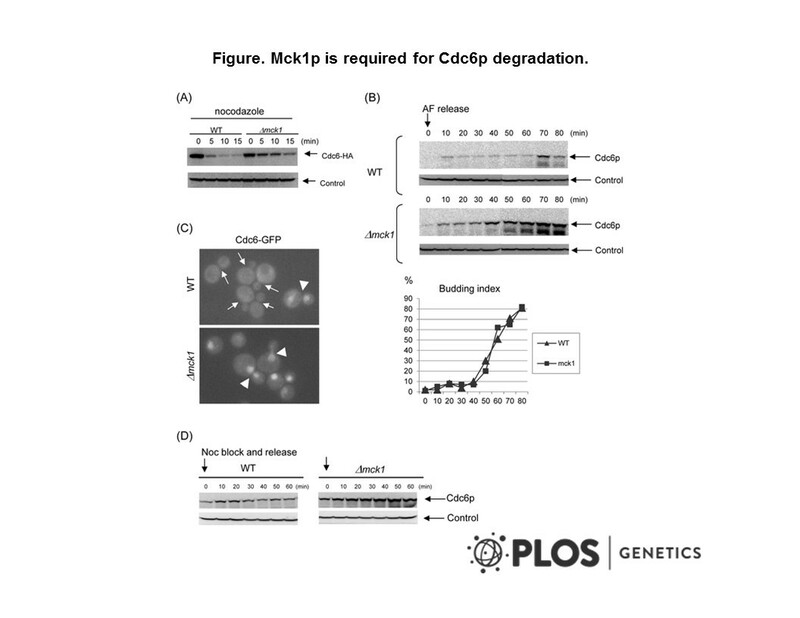 A yeast GSK-3 kinase Mck1 promotes Cdc6 degradation to inhibit DNA re-replication. Ikui et al. 2012. PLoS Genet. 8(12):e1003099. PMID: 23236290. Zhang et al. 2007. Cancer Res. 67(8):3827-34. PMID: 17440097. Tumor necrosis factor receptor 1/c-Jun-NH2-kinase signaling promotes human neoplasia. Perkins et al. 2001. EMBO J. 20(17):4836-45. PMID: 11532947. Separate SCF(CDC4) recognition elements target Cdc6 for proteolysis in S phase and mitosis. Donovan et al. 1997. Proc Natl Acad Sci U S A. 94(11):5611-6. PMID: 9159120. Cdc6p-dependent loading of Mcm proteins onto pre-replicative chromatin in budding yeast.